10" 2 layer Cake decorated with your choice of buttercream or fondant. 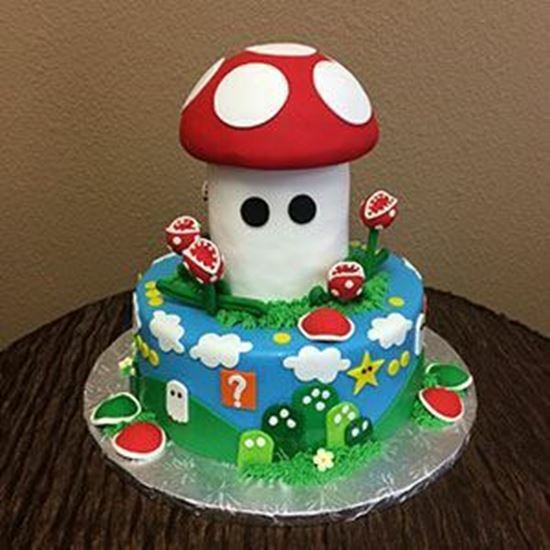 Rice cereal mushroom cake topper. Gumpaste pieces included as shown. Serves 20 - 30 slices.